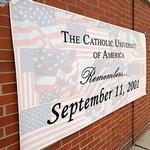 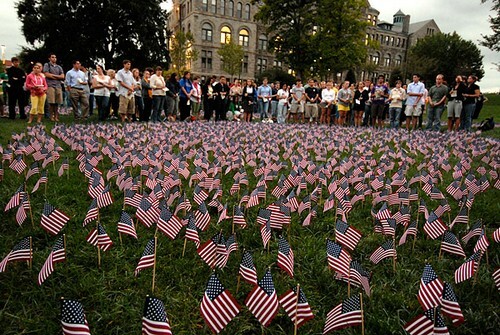 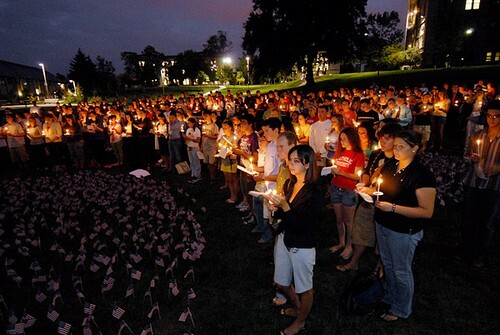 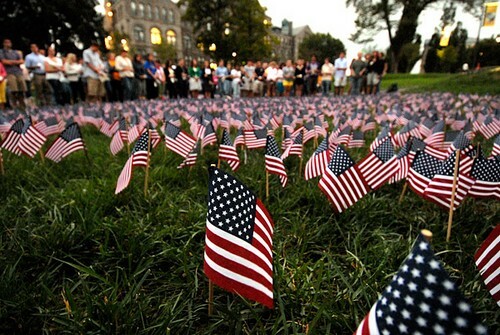 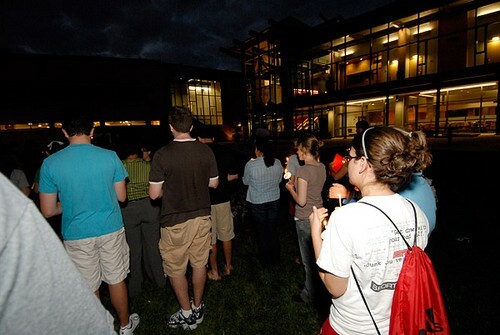 On the seventh anniversary of 9/11, several hundred CUA students gathered on the front lawn of the Edward J. Pryzbyla University Center for a candlelight vigil and memorial service honoring victims of the terrorist attacks. 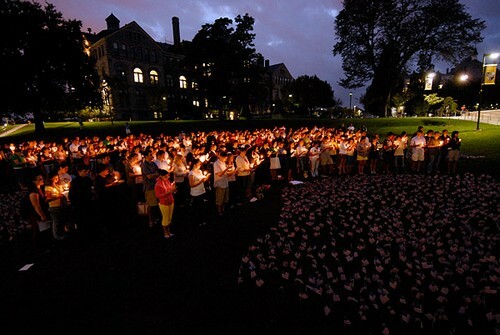 Participants were invited to say the name of a loved one who was killed in the attack as they lit their candles. 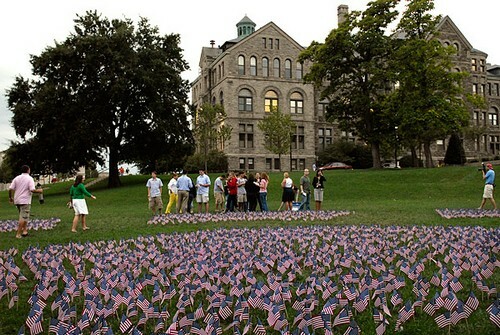 Earlier in the day, the names of all 2,974 victims were read aloud before a field of small American flags commemorating those who died. 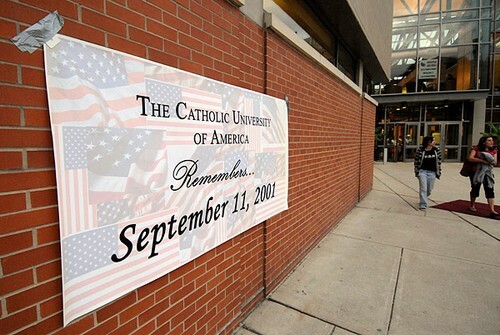 The memorial service was student-inspired and directed.